If Zack Greinke felt as though he again was facing an uphill battle in a postseason start, it’s quite simply because he was. 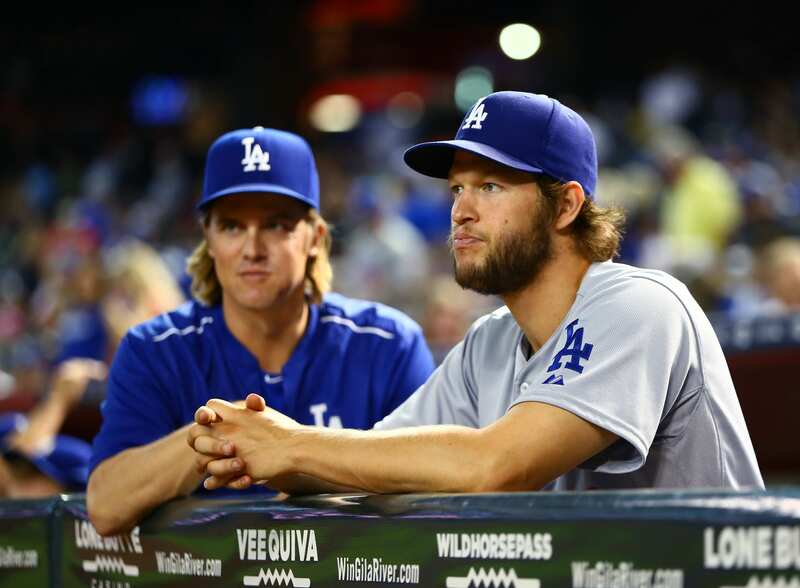 Just as was the case last year, Greinke started Game 2 of the National League Division Series with the Los Angeles Dodgers trailing in the series. The New York Mets took Game 1 behind a strong Jacob deGrom performance, and had reason to believe Noah Syndergaard could follow in his footsteps. New York provided early run support for their rookie right-hander with solo home runs from Yoenis Cespedes and Michael Conforto in the second inning. Kiké Hernandez led off the bottom of the third with a base hit, and Howie Kendrick later singled to put two on with one out. Syndergaard escaped the minor brush with trouble by striking out Corey Seager and Adrian Gonzalez. While Syndergaard is renowned for his fastball, he relied on a steady diet of sinkers and sliders to retire Seager and Gonzalez. 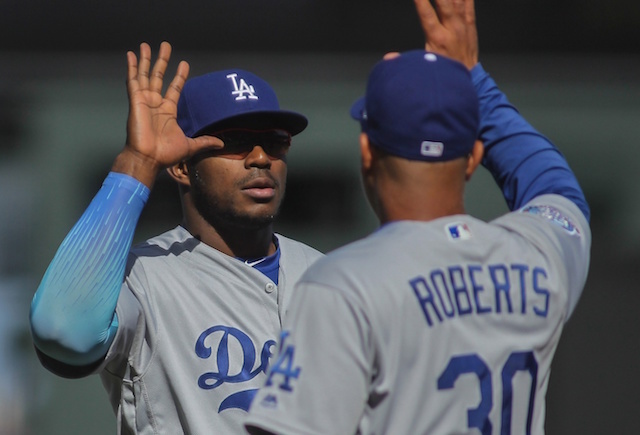 The Dodgers broke through a bit in the fourth, with Justin Turner and Andre Ethier hitting back-to-back doubles; the latter of which cut their deficit in half. 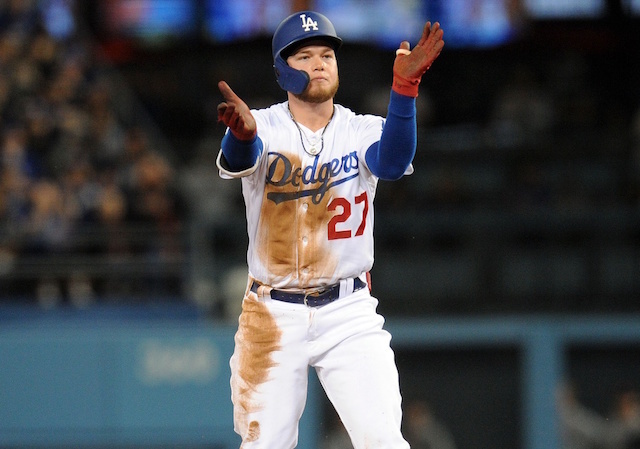 Some of the momentum stalled, however as Carl Crawford hit softly back to Syndergaard, who threw over to third base to get Ethier attempting to advance. Crawford manage to steal second base on a Yasmani Grandal strikeout, then Hernandez was intentionally walked. Greinke nearly helped himself, only for his fly ball to be caught in right-center field to end the fourth inning. As for matters on the mound, Greinke opened and closed a scoreless fifth inning with strikeouts, giving him seven in the game. Meanwhile, Syndergaard kept the Dodgers at bat in the bottom of the fifth, retiring the side in order on just 10 pitches. One of the three batters retired was Gonzalez, who struck out for a third time Saturday night, and sixth time in seven NLDS at-bats. Hernandez drew a walk in the seventh inning and stole second base with pinch-hitter Chase Utley batting for Greinke. Utley singled over Daniel Murphy’s head, but because Hernandez had to wait for it to clear the second baseman’s leaping attempt, he only reached third base. That marked the end of the road for Syndergaard as he gave way to Bartolo Colon. Kendrick grounded up the middle, which Murphy managed to get his glove on and toss over to Ruben Tejada at second base. While Utley was called out, he upended Tejada with a late slide to prevent a double play from being turned. Hernandez scored and the Dodgers tied the game at 2-2. Tejada remained down and was carted off the field after several minutes of being tended to. Adding insult to injury for the Mets, Dodgers manager Don Mattingly successfully challenged the out call at second base and Utley was ruled safe. 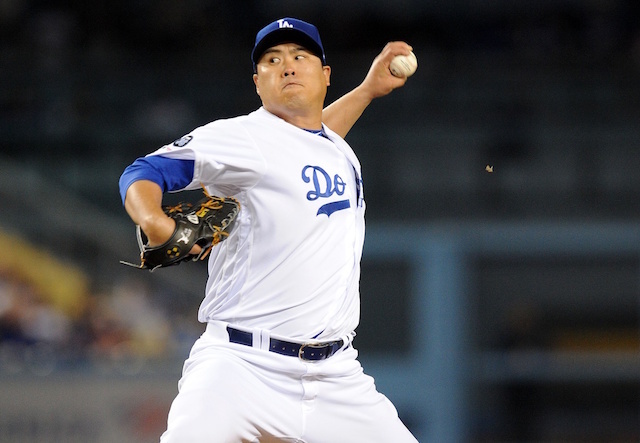 Following a Seager fly out, Gonzalez broke out of his mini-slump with a two-run double to put the Dodgers ahead, 4-2. 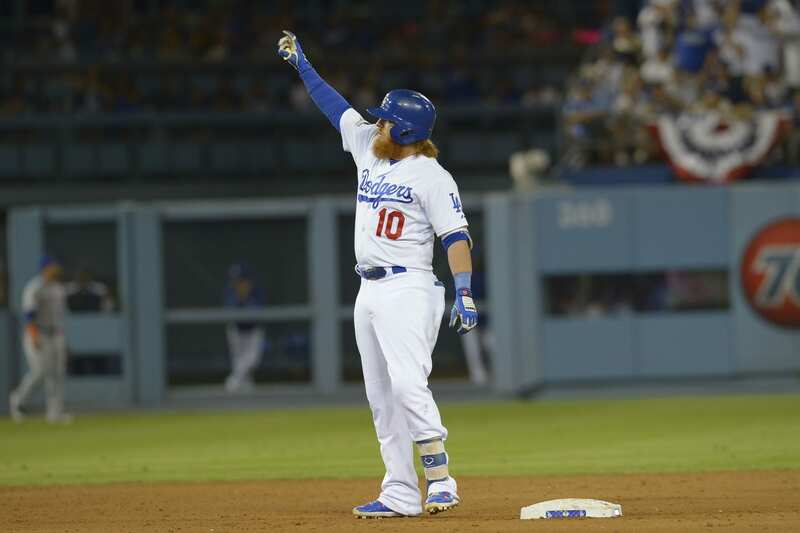 Turner followed with an RBI double, and the Dodgers carried a 5-2 lead to the eighth. Chris Hatcher and Kenley Jansen combined for two scoreless innings, and the Dodgers tied the NLDS at 1-1 with a 5-2 win.